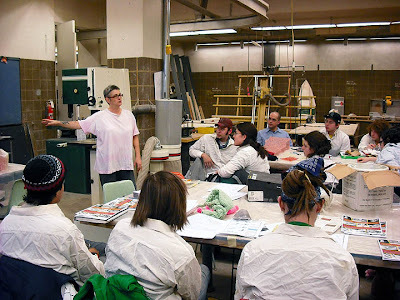 This week Yvette Kaiser Smith was at our university as a visiting artist. Her work was part of the show, Crossing Threads, Crossing Boundaries. 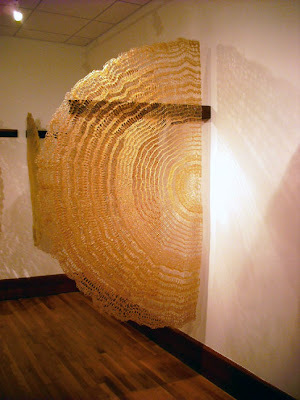 Here is one of her pieces, it is crocheted fiberglass roving that is dipped into tinted resin. 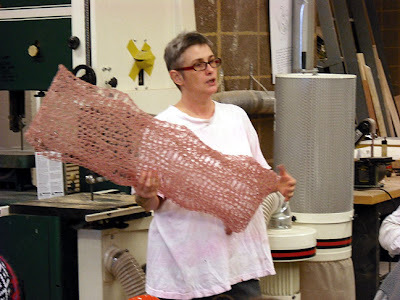 Along with attending her artist's talk, I also got the opportunity to go to a workshop in which we got to make a fiberglass and resin sculpture of our own. Here is Yvette explaining the process of determining what kind of resin to use. 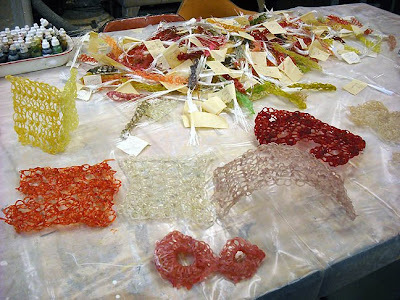 These are some of the samples she brought for us to see, and color cards for mixing up the resin. This is Yvette explaining some of her techniques for 'posing' the sculptures she makes while they dry. 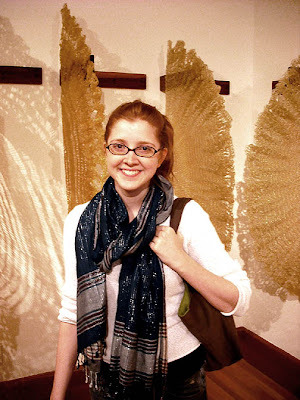 And lastly here I am posing in front of Yvette's pieces in the show. I got yelled at by a gallery guard soon after this shot for touching one of the pieces, right after Yvette herself told me to touch them. It was quite funny.